Colorectal cancer etiology is multifactorial, with genetic and environmental factors contributing to various degrees in each individual patient. Underlying genetic and molecular pathways produce unique subsets of colorectal cancers that have distinct but somewhat overlapping phenotypes: chromosomal instability, microsatellite instability, and DNA hypermethylation. These changes are manifest in both sporadic cancers and in hereditary syndromes. Clinicians must be aware of the various underlying genetic and molecular causes of disease as they impact clinical management, particularly in the hereditary syndromes. 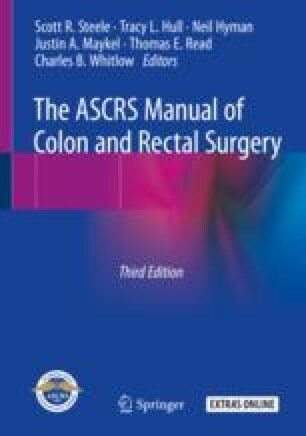 This chapter summarizes the main genetic causes of colorectal cancer and the clinical presentation and management of the hereditary colorectal cancer syndromes.